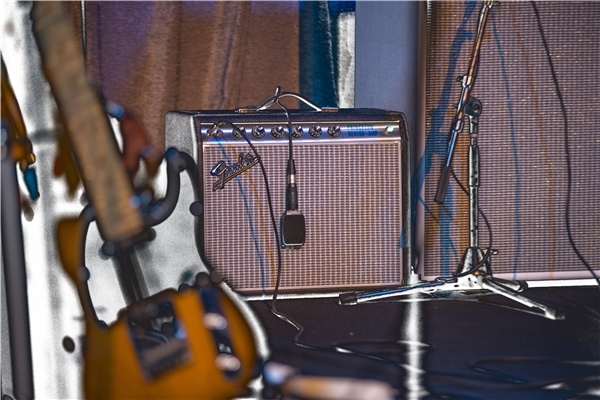 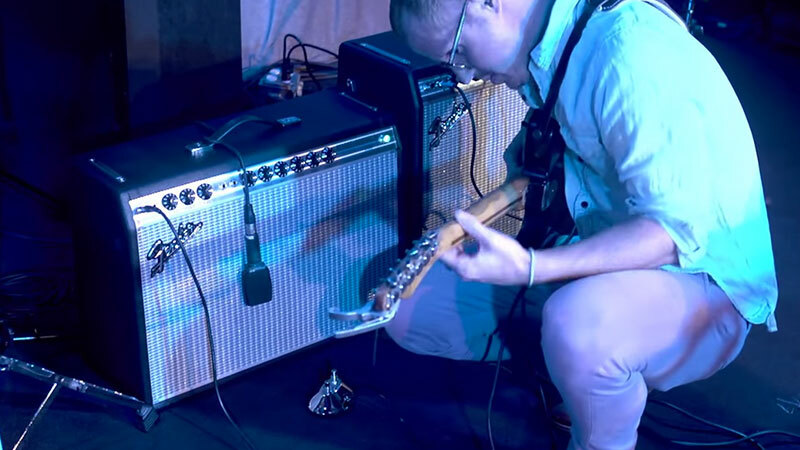 The guitarist with an eye and ear for late-'60s Fender "silverface" style will love the '68 Custom Vibrolux Reverb, which honors the classic look and great sound of that era's amps. 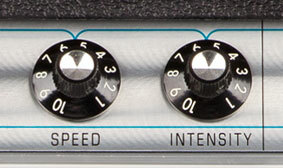 The moderately powered Vibrolux Reverb received a fresh new face in 1968—a silver-and-turquoise front panel with aluminum grille cloth trim, with tone, reverb and tremolo that was still pure Fender. 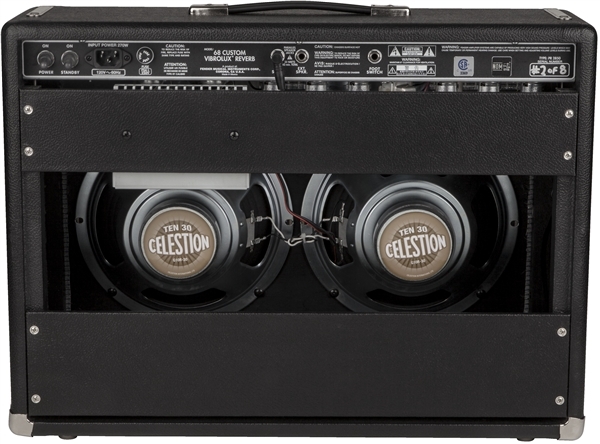 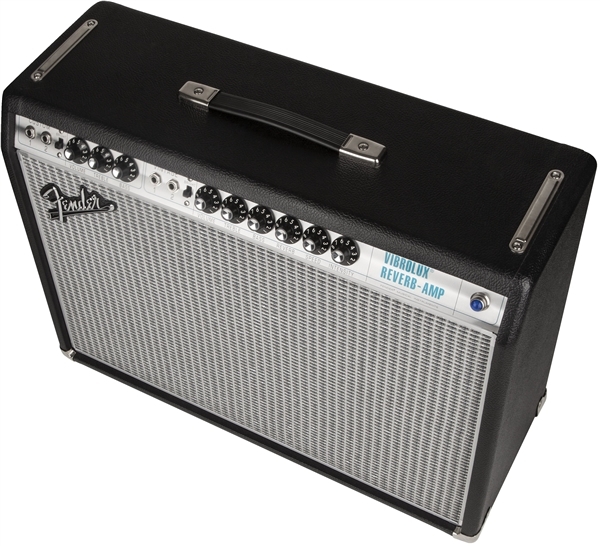 That's all available in the 2x10" '68 Custom Vibrolux Reverb, too, which also has modified all-tube circuitry, vintage channel for traditional silverface tone, custom channel with Bassman® tone stack, and reduced negative feedback for greater touch sensitivity and quicker gain onset. 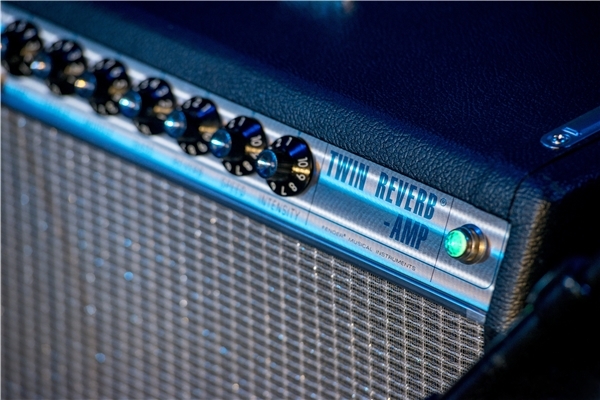 Simply put, there’s really nothing quite like the pure, powerful sound of a Fender tube amplifier. 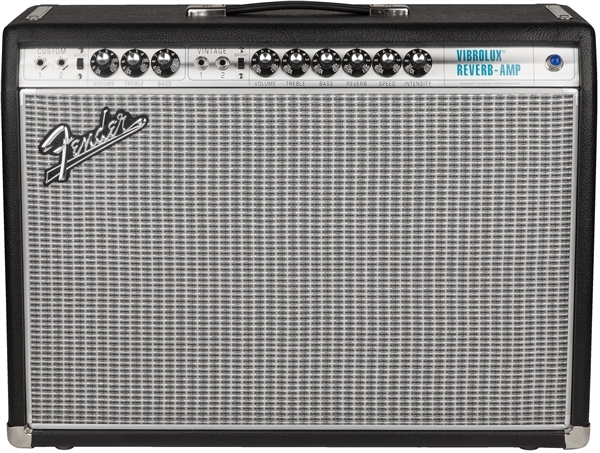 For decades, the tonal richness and touch-sensitive dynamics of real tubes have given Fender amps a defining and unmistakable voice, as heard on most professional recordings and performances of the past 60 years—the music you’ve known your whole life. 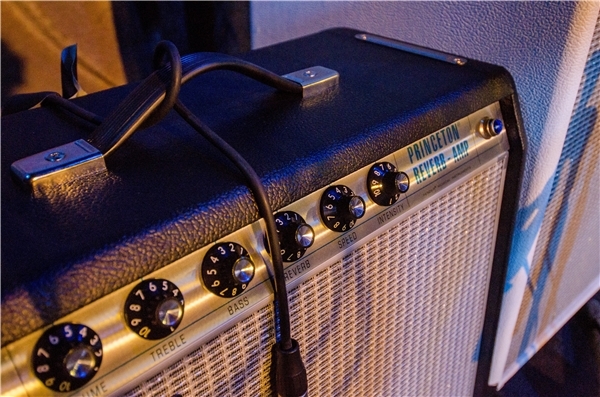 Among their many fine sonic attributes, Fender guitar amps like this one are prized in particular for their luscious spring reverb. 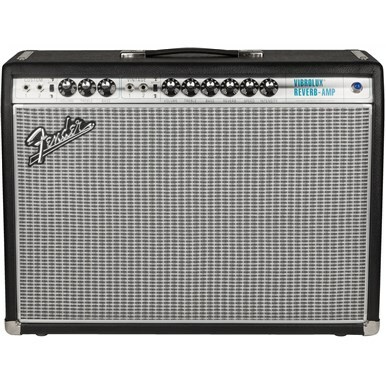 For that wet, shimmering ambient sound ranging from subtle to cavernous, Fender lets you dial it in exactly to taste. 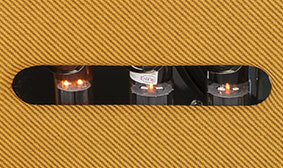 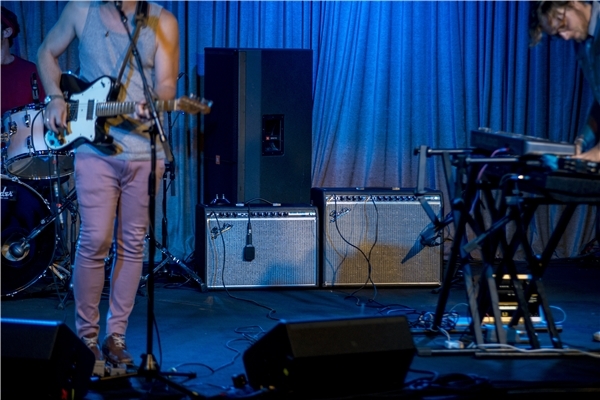 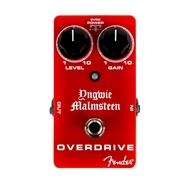 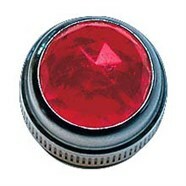 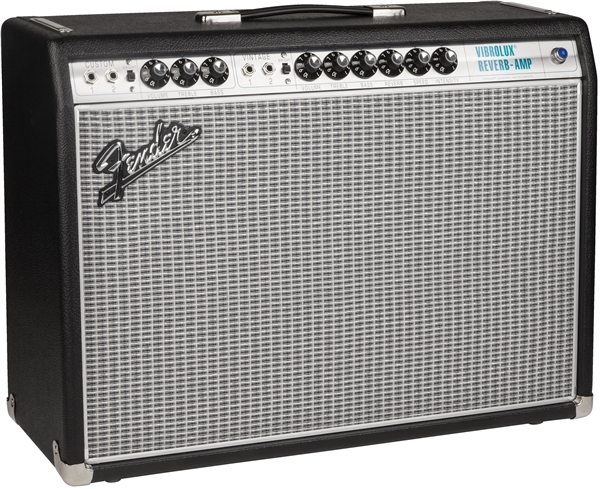 Rich, pulsating tremolo in any shade from subtle to stupendous is simply part of Fender’s guitar-amp DNA. 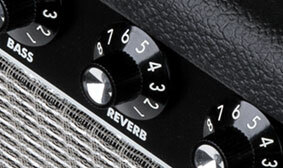 Always has been and always will be.